R. Kelly To Bring His ‘Love Letter’ Tour To The U.S.
*CHICAGO, IL—Three time GRAMMY winning King of R&B, R. Kelly will bring his “Love Letter” tour to the United States beginning June 2, 2011. This electrifying performer will tour in support of Love Letter (Jive Records) his R.I.A.A gold-certified eleventh studio album. 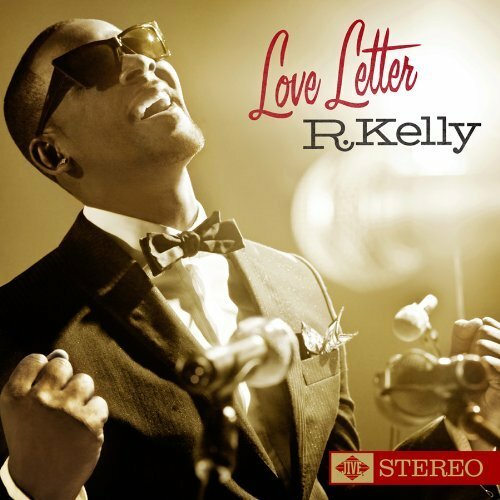 Love Letter has produced two hit singles, “When A Woman Loves” and the title track which held the # 1 position on the Urban AC chart for four consecutive weeks. Kelly is one of the biggest-selling R&B artists in the world selling over 34 million albums, releasing 12 No. 1 singles and eight No. 1 albums. His new CD incorporates classic soul music influences and features chivalrous lyrics concerning love and forgiveness. Kelly, who wrote, produced and arranged Love Letter, pays homage to soul artists such as Marvin Gaye, Sam Cooke, Jackie Wilson, Donny Hathaway, Michael Jackson and Stevie Wonder. Love Letter received praise from critics and made the New York Times Pop Top 10 Albums of 2010 list, while its single “When A Woman Loves” made Associated Press’ Best Singles of the Year List. Joining Kelly on the “Love Letter” tour are four-time GRAMMY-nominated, multi-platinum selling singer/songwriter and the star of a top-rated BET reality show, Keyshia Cole and six-time GRAMMY nominated singer/songwriter/producer Marsha Ambrosius who achieved success as the “Songstress” in the now defunct duo Floetry. Ambrosius released her solo debut album Late Nights & Early Mornings, which entered at #1 on Billboard’s R&B Albums chart and #2 on Billboard’s Top 200 Albums chart.